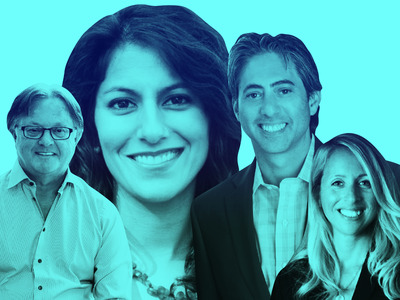 Shayanne Gal/ Business InsiderRead Business Insider’s exclusive list of the top VC firms in the cannabis industry. Ever since Colorado legalised cannabis for all adults in 2014, the cannabis industry has blossomed, with a multitude of companies competing to scale up as more states legalise the drug. With so few institutional investors ready to write checks to cannabis companies – marijuana is still considered a Schedule I drug by the US federal government – the industry has given rise to a number of sector-specific firms that deeply understand the nuances of investing in such a highly regulated and fragmented market. Last year, the total value of all venture deals in the cannabis space across the globe was just under $US378 million, according to analytics firm PitchBook. By the beginning of October, that number nearly doubled, to $US643 million. To put that growth in perspective, in 2012, the first year PitchBook had data available, there were only two deals in the cannabis sector – worth just $US300,000. According to some estimates, cannabis may become a $US75 billion industry in the next few years. To get a handle on who’s cutting early-stage deals in the fledgling industry, Business Insider pulled data from PitchBook and reached out to the top venture-capital firms in the industry.